Keep your feet dry warm and comfortable with our exclusive DryStat or MicroSupreme fibers that provide both warmth and protection with optimum moisture control that reduces the growth of bacteria and fungus to promote a healthier environment for your feet. 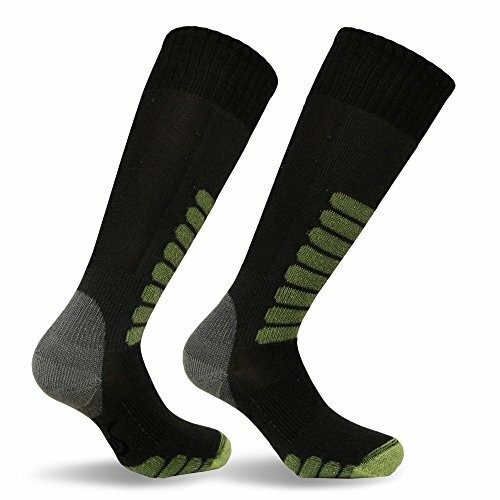 Our advanced knitting techniques brings together spandex and sport-specific technical fibers with a patented interlocked diamond pattern providing the ideal fit and support you expect for challenging environments. Perform better, recover faster, and boost your performance, socks designed with the winter athlete in mind, your feet and legs will thank you. EUROSOCKS never outsourced, compression experts since 1998, Arcos is the manufacturer of great sock brands like Sox, Travelsox, Vitalsox, Caresox, and Worksox, Made in Italy. If you have any questions about this product by Eurosocks, contact us by completing and submitting the form below. If you are looking for a specif part number, please include it with your message.